Wills Trusts are legal documents that provides instruction for the distribution of assets after death. The will can also give instructions for guardianship of children and even pets. The will allows you to make your preferences known for funeral arrangements as well as burial or cremation. A will is critical for cases involving heirlooms or high-value items like jewelry, cars or real estate that you may wish divided unevenly. Without a will, the courts decide who gets what based on a generic formula that favors close family. If there is a friend or distant relative that you would like to receive an inheritance, it must be detailed in a will. Even if you specify a preference verbally, without a will, the recipient may not have legal grounds for arguing your intent if the gift is contested by another family member. A trust is a means of transferring property from one person to another by way of an intermediary. A trustee is a person who receives and manages assets on behalf of a beneficiary. A trust can hold assets while a person is alive with the intent of distributing them upon death or when the recipient reaches a certain age. Trusts are valuable tools to manage inheritances and for protecting funds from being taxed twice – as income and then as inheritance. The trustee, who can be an attorney, accountant, trusted friend or relative, is responsible for the disbursement of the funds or assets according to the wishes of the giver. With a living trust, you can manage your own funds and distribute them as you wish. Kathryn Wayne-Spindler explains how Pet Trusts ensure care for your beloved animals after you’ve gone. 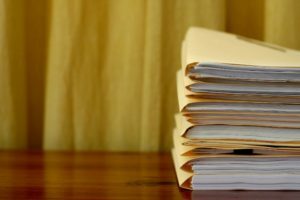 Although there are cheap do-it-yourself wills trusts out there, the generic, homemade wills do not have the accuracy, detail, legal viability and integrity of a will created by an attorney. Wills and Trusts are no places to scrimp. When it comes to inheritance issues, it can be doubly painful for loved ones to endure the death of a loved one with a probate battle on top of it. The estate planning attorneys at Kathryn Wayne-Spindler & Associates can help you craft wills trusts that will assure your wishes and save your relatives the heartache of protracted probate issues. Contact our Milford, Michigan office at 248-676-1000 to set up a time to consult regarding wills and trusts.